Brands looking to foster stronger customer ties should start by looking inside their own four walls and build advocacy from the outside in, Marketo’s CMO claims. 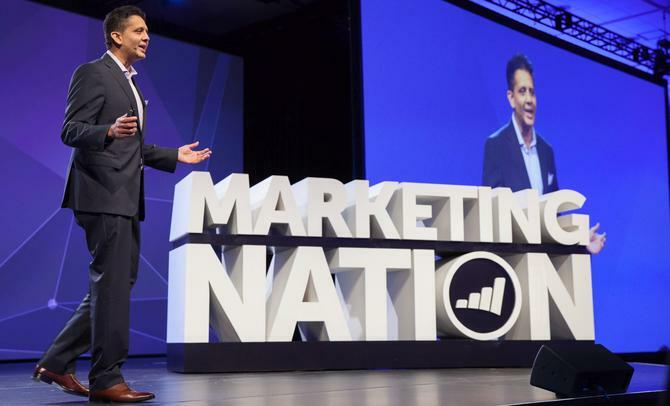 Chandar Pattabhiram told attendees at this year’s Marketo Marketing Nation summit that brands are in a “battle for the mind” when it comes to customers, and recommended marketers tap into storytelling, adaptive engagement and brand advocacy in order to build a marketing strategy based around engagement. Pattabhiram’s second key ingredient, adaptive engagement, relies on an ability to listen to customers. He said what’s clear is that the power has shifted over the years from a situation where brands do the talking and customers listen, to customers talking and brands listening. To do this, marketers must “act out customer lifecycle, not just talk about it”, Pattabhiram continued. He noted a recent survey undertaken by The CMO Club in partnership with Deloitte Digital, which found only 13 per cent of marketers are doing this today. Pattabhiram was also keen to espouse advocacy, and suggested marketers have historically confused loyalty with advocacy. In contrast, brands such as Apple, Nike, Netflix and Tesla have been able to build passionate advocacy around their brands because of their ability to tap into the emotional heart of consumers and make their key brand attributes a reality. But the best brand advocates are sitting next to us when we go back to our offices, Pattabhiram said. “When you build brand advocacy, build it inside out, rather than outside in,” he said. In a follow up interview with CMO, Pattabhiram said Marketo has made a number of changes internally to improve the vendor’s own advocacy and customer approach, including the creation of a dedicated team of people for customer lifecycle focused on cross-sell and retention. “We have a team that does acquisition, then another going after dedicated cross-sell, plus I have an employee engagement person, and someone responsible for advocacy, going after third-party sites but using products and technologies to make it easier for customers to become advocates,” he said. The vendor’s Marketo Live program, for example, was launched as a way to build wider brand advocacy, and now has more than 1000 customerssigned up. Getting to this point requires buy-in from both the CMO and CEO, Pattabhiram said, adding Marketo’s CEO, Steve Lucas, has led the strategic charge internally. Getting the right measurements in place is a core part of getting teams on the same page, and Pattabhiram said all marketing executives at Marketo now have the same KPIs. “Our corporate marketing lead has a KPI for driving pipeline as much as my demand gen team has to create brand awareness and advocacy,” he said. “That’s as much as driving win rates, which my product marketing team also has. It’s the first time we’ve had the same set of KPIs across the marketing team, so no one can claim they don’t care about one thing or another. Pattabhiram said he’s also shifting the reward structure for his demand gen teamsaway from “vanity metrics” such as pipeline, marketing qualified leads, impressions and names to pipeline they drive aligned to revenue growth. “I’d like to get this to customer lifetime value, because then the conversation with sales is based on the same language,” he said. And as marketers increasingly become the custodians of engagement, Pattabhiram said the key attributes CMOs need to put more emphasis on strategy.